Summary: New York Times bestselling master of mystery Phillip Margolin transcends his traditional territory in this new and different book, a haunting thriller inspired by an unforgettable photograph. Stacey Kim, a young aspiring writer moved to New York to write a novel that would propel her to fame and fortune. Instead she finds herself bogged down in a dead-end job with little motivation to write. That is, until she sees the photograph Woman with a Gun at a museum exhibition. The famed photograph by Kathy Moran gives her a renewed enthusiasm to write a fictional novel based on the picture. After some initial research Stacey finds that Megan Cahill, the bride holding a gun in the photograph, was suspected of murdering her wealthy husband on their wedding night but the case has remained unsolved for ten years. She decides the real story surrounding the photograph would be the inspiration for her fictional novel so she quits her boring job and heads to Oregon to interview the people involved in the case and to see the murder scene for herself. Stacey’s relentless search for the facts ultimately leads to the solving of the crime ten years after it was committed. 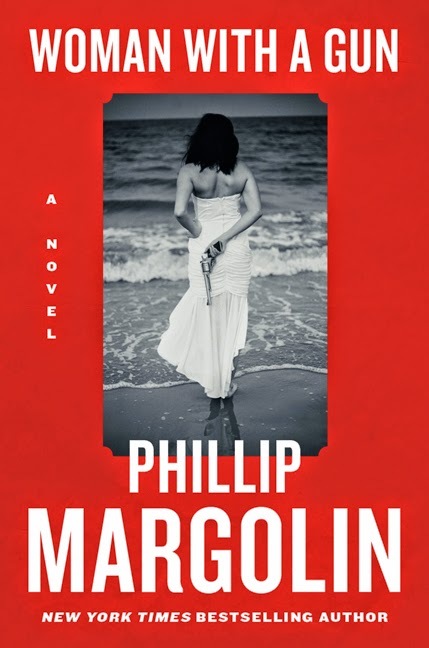 After introducing the story of Stacey’s desire to write the novel, Author Philip Margolin takes the reader back fifteen years to where Jack Booth, a handsome assistant DA meets Kathy Moran in a trial where he is the prosecuting attorney and she is a defense attorney for a gangster. Jack becomes a little smitten with Kathy Moran. The author then moves forward five years to the actual crime where Jack Booth is involved in the murder investigation and Kathy Moran’s famous photo is a key piece of evidence. Margolin is ingenious in setting up the story. First he has three beautiful women as key players in the novel. Then he introduces a handsome attorney who has an infatuation with one of the principle players in the crime. Megan Cahill, the bride, has a bad prior marriage, poor reputation and sets up as a great suspect. Kathy Moran has her own problems with drug addiction and her relationship with the gangster she defended five years earlier. Now they all show up in the town where the murder occurred at the time Stacey Kim begins her investigation. WOMAN WITH A GUN is a brilliant murder mystery with several intriguing well developed characters with Jack Booth and Kathy Moran stealing the show. Margolin makes use of interesting character interactions and exciting events to keep the reading guessing up to the very end. If you enjoy suspense novels then you will enjoy WOMAN WITH A GUN. I don't think I would have given this book a second thought because of the title and cover but Booking Pap Pap's love for it is obvious so I'm very curious about it.